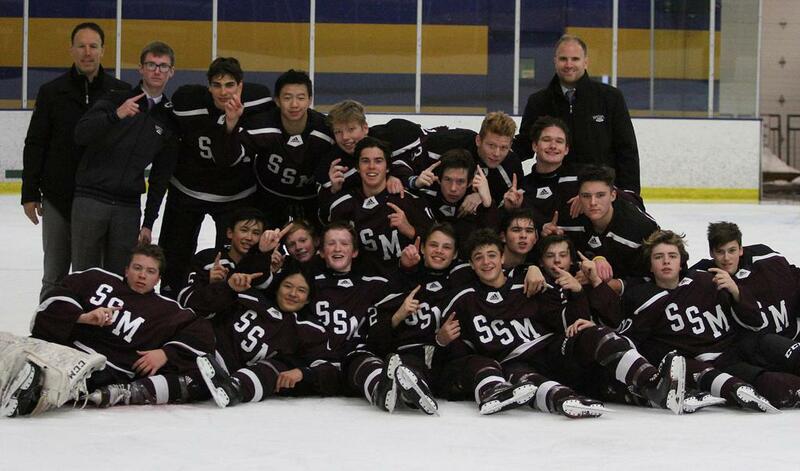 Shattuck-St. Mary’s dominated from the onset Sunday and made quick work of the top-seeded Walleye en route to a convincing 6-1 victory that secures the Sabres a district championship and a spot in next spring’s Tier 1 National Championship tournament. It took a little more than a minute for Shattuck to grab the lead when Braedon Ford (Pittsburgh, PA) scored the first his two first period goals that set SSM on its path. By the end of the period, SSM would lead by three goals, and the gap would only widen as the game wore on. 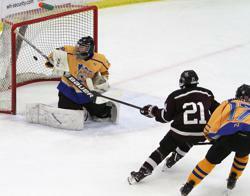 Ford finished with three points, as did teammate Ty Hendricks (Woodbury). Michael LaStarza (Montreal) led everyone with four points on two goals and two assists. Christian Manz (Blaine) continued to be strong between the pipes to earn the victory after stopping 14 of the 15 shots he faced.